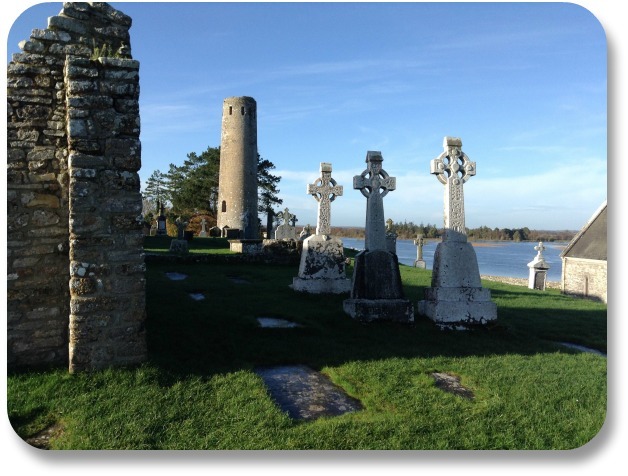 You'll find the Clonmacnoise monastic site on the banks of the River Shannon, in County Offaly. The cathedral that now stands in ruin was built in the 6th century, and for hundreds of years it was the most important religious landmark in Ireland. The site is made up of several unique structures as well as a modern church, and it is a historic destination worth a visit. To get to Clonmacnoise by car, you can take the M6 East from Galway or the M6 West from Dublin. Either way, the journey won't take longer than 90 minutes. There's also a far less common way to get there: By boat! Since the landmark is right next to the River Shannon, some visitors arrive by boat for a unique way to experience the monastery. Many people mistakenly believe that the location is just one church. In reality, it's made up of one cathedral, seven churches, three high crosses and two round towers. The cathedral is the largest structure at the site, and it dates back to the 9th century. It is also where countless Irish kings and members of various royal families were buried. You can tour the graveyard to this day. As you walk the site, you might be drawn to the beautiful Cross of the Scriptures, which stands at more than 12 feet tall. However, the one outside is actually a replica! The real one can be found inside at the Visitor's Centre. Near the Chapel of Clonfinlough, you'll see a handful of large limestone boulders. Look closer to spot the Horseman's Stone, which boasts a number of carvings that are believed to depict aspects of ancient Gaelic inaugurations. Temple Connor is one of the newer structures, dating back to just the 18th century. The interior has been remodeled, which makes it less attractive to history buffs. If you want to attend a service at the site, you can do so at Temple Connor every Sunday afternoon. Although the monastery is largely in ruin today, this was once a thriving and busy place. 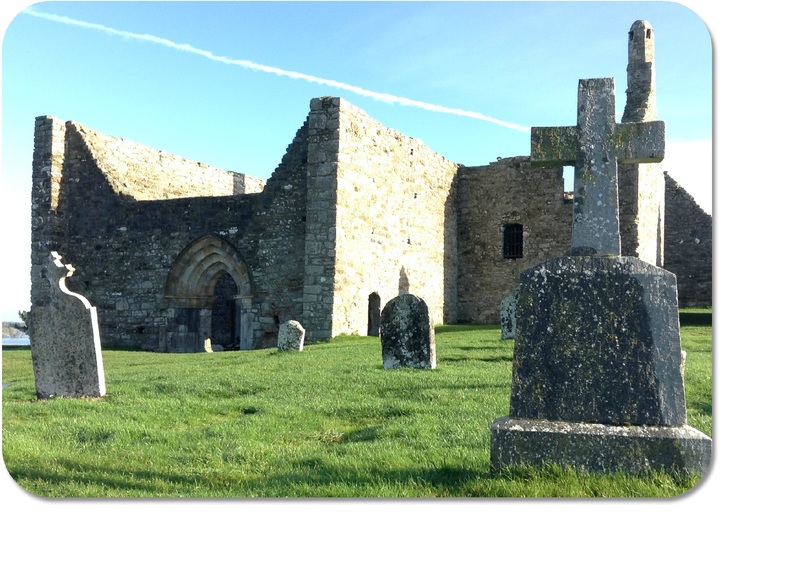 Some estimates reveal that nearly 2,000 people lived at Clonmacnoise during the 11th century. There's a guided tour of the site, which is a great way to see as much as possible in just 30 minutes. Be warned that the guided tours can fill up quickly, especially in the summer, so getting an early start is a smart move. If you want to arrive by boat, start from the town of Athlone. The boat trip takes about 90 minutes in each direction, and there is spectacular scenery to enjoy along the way. For more information, you can visit this website at Ireland.com.